Auntie! she says, catching her breath. Why do little kids always run with their heavy school bags? Mmmm.! I answer in a sing song tune. Wow! Why is it magic?, I ask, curious. See, Auntie, it has a face. It smiles, she says, proudly. You’re right! So cute!, I say, amused. Auntie! Do you want to smell it?, she asks. Ummmm….I say, and before I have a chance to make a choice, she reaches up and sticks it right under my nose. Involuntarily, my nose twitches in response to that mixture of school smells on the eraser. Thank you! I say, pretending to take from her hand and munching. Very nice. What color is it? I ask . No auntie, she says, sad-faced. Because my lunch box is inside my bag, she says, with a peal of laughter. I grin. Then she says, I drank water. I am going home, auntie, she says. Bye, bye. See you tomorrow, I say. This second grader is someone I see often. Wherever she sees me, she recognizes me, just because I helped her tie a friendship band on her wrist one day. The next day, she ran into me, literally and laughed. She held up two lunch bags, and said she had forgotten her bag the previous day in school and was taking it back home today. So she had four bags. How? I ask. Because I can only count three – her school backpack plus two lunch bags. But she counts four – her two lunch bags plus the left shoulder and right shoulder, where her backpack straps rest. So hilarious. The third day, she just came and hugged me and held up a string, asking me to tie it on her wrist. I did. And she walked away happily. The fourth day, she walked down the path and just stopped where I stood, and smiled up at me. “Are you reading a story book?” she asked, and I said yes. “Is it nice?” she asked. Yes, I answered. “Will you tell me the story when you finish reading”, she asked. “Sure,” I said. And now, on days when I don’t see her, I get all worked up. This little girl is only one of the little friends I’ve made who brighten up my day. There’s a little 5-year old boy I meet at the bus stop when I go out at a particular time – it is when he goes back from school. If there’s waiting involved for the bus to arrive, this boy delights in running a few steps ahead and then running right back and bumping into me. I realized I had once pretended to catch him as he ran back, as his Mom watched, amused. So it is a game we play, now. He’ll come running and avoiding me, run right past into his Mom’s arms. I love how children make friends, just like that. Age , status, looks – none of these matter. All that matters is love and affection, a cheerful smile to make those little human flowers bloom, shed their inhibitions and make your day and make life look like a garden. No fear, no anxiety. They never beat themselves up over petty stuff. Here are some other things that brightened my day. I walked to the bus stop to see this dog basking in the sun. Happy fellow. Click the pic to see a slideshow. Then click anywhere on your screen to return to this post. An ant hill, worshipped diligently. Tell me, How do you spell love? I love how “A dog basking in the sun” makes you happy. You make me happy, Vidya. I feel a deep love for you from afar. Love you more than doggies basking in the Indian Sun. Hugs, Kim! I see the dog every day and love how he goes about his stuff regardless of the activity around him. Love you! Little things in life when looked back give us happiness. 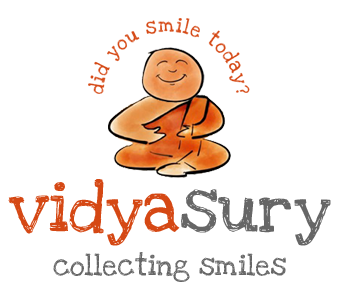 Loved your post , Vidyaji. You are right, Kalpana!Thank you! Yes, lovely post, I love the hand out love! I’ve always marvelled at and loved the way kids make friends instantaneously. It’s sad that, with child abuse rampant, it’s necessary for parents to caution their children against trusting others. Even more unfortunate is the fact that some parents ensure that their children stop trusting everybody other than their parents. Proactive Indian recently posted…No fine or bribe even after a traffic offence??!! Loved that quote… and your post too. Like the quote – it’s the little things in your post that make it a wonderful read – like this one – ‘school smells on the eraser’.. Lovely. You sure have fallen in good company, Vidya:) Beautiful post!! Yes, Rahul. In fact, I am slightly sad that I haven’t seen her for a couple of days. Both the incidents with the kids just go to highlight the fact that the innocence and joy that kids bring to this world is amazing. If only we all retained some of this innocence as we grew up the world would not be such a big bad place after all, would it. Correct, Jairam. I always marvel at their zest for life. Somehow, as most people grow up, the only “child” their retain in themselves is the whiny part. 😀 Thank you for your comment, you master of mythology! Love, just a word but if we can feel it, oh boy! I can feel love every day – I can feel my hubby loves me. And I love him. Love is in the air……….. I *love* this – I literally smiled the entire way through! And, I hope we remember to allow our inner child the space and time to experience the carefree joy that this little one in your first example so clearly has and shares! A wonderful story about the children in your life!! And as always… love the pictures..
PS I spell love F-A-M-I-L-Y! I had a dog timmy we lost him in may this year,Just yesterday while I was doing Aarti I was thinking of him,he wouuld come religiously and sit throthe aarti and then go on his fours to do a shashtanga namaskarm,last year he was unable to stand through the full aarti but he was trying ,with a little grunt asking me to make it fast.such memory reitirates that love a blissful love with no expectations touches you.there were so many who never liked dogs but they became fond of him he had a knack of giving love attention so over time they all grew fond of him and miss him even today and those who are visiting me for navratri after last year ask for him & when I tell them a little moisture swells in their eyes .this guy with not a word gave & got love of so many. Gita, I understand. 🙂 Somehow, I feel that we’re well cared for thanks to all that our family did for others. Timmy reminds me of my neighbor’s dog, who went by the same name. Such a darling he was. I especialy remember how the little kids in the area colored him during Holi and the mauve shade just wouldn’t wash off – so he looked a very charming furry creamy mauve. 🙂 It is why I love you, Gita! Thank you, Ashima. So nice to see you here! An absolutely delightful post, Vidya! I could imagine those two little kids and the interactions. 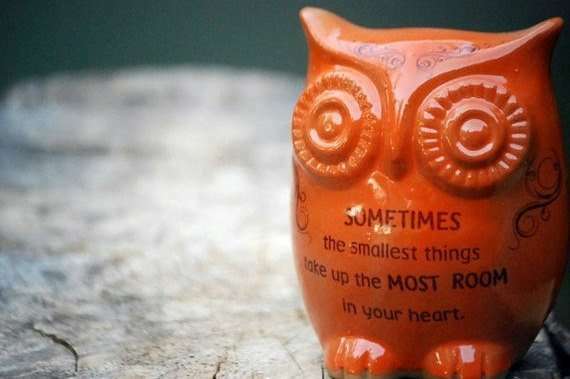 Uncomplicated, full of joy and with no preconceived notions of what people should or shouldn’t be – the love of the ‘small things’ is precious! Thank you, Corinne. Yes, uncomplicated just about sums it up. 🙂 So much happiness! Thanks, Sheethal! Yes they do, and so easily! 😀 Thanks Meena. Those kids – I love them! That’s a beautiful manifestation of love, Jodi! Thank you! Thank you Nischala! Ah, I follow that policy of the 20 years younger and older as friends. In fact, I get along very well with children and the elderly. 😀 It is learning on a daily basis in the most enjoyable way! Thank you for your comment! Yes, Kathy, it is what I love about them. My heart always feels light around them! damian’s lunch bag has a strap and can hang across his chest on his hip. one day i didn’t see it when i picked him up. I asked where it was. he said he did not know. i asked if it were in his bag. he said no. silly me did not check the bag. instead i asked the teacher and she had to go back up to the classroom to search for it and then we checked the playground because they go there after lunch. and then i came home thinking crap the bag cost $15, have to buy another, what will damian take his lunch in tomorrow. and then i open the school bag to get the homework and there’s the lunchbox. i wish he had extras like your little friend. kids are too much fun at this age. loved hearing your stories sis. and these pics are awesome as always. Kids are delightful as they grow up. Hugs! Your story about the little girl and pictures made me happy too. I always feel fortunate, Shilpa, that children and I are drawn to each other. I love to observe them and chat with them! Aww, I’m sitting in a café and this got me all teary-eyed. My mother always impresses me by the number of young friends that she has. They nock on her door and bring her gifts. Once a bunch of them came in with a dog and left dog poop in the living room. My mom didn’t like that gift so much. How perfect. Loved the stories of children and how open they are to connection. And how imaginative they are! My two year old grandson invites me to play a game of go to sleep (covering his fact with a towel and having me sing a lullaby) and wake up (jumping up as I shout good morning). He can do this many many times, each time laughing like it is the most fun thing in the world. And at that moment, it is. Oh Galen, even today, my son, who is too old to play that game laughs his head off after responding involuntarily! Yes – I love how they can keep playing it infinitely! Thank you for commenting. Hugs! That’s such a beautiful and happy post, Vidya! Children are the purest forms of love.. Thank you Deeps! Yes, they are! 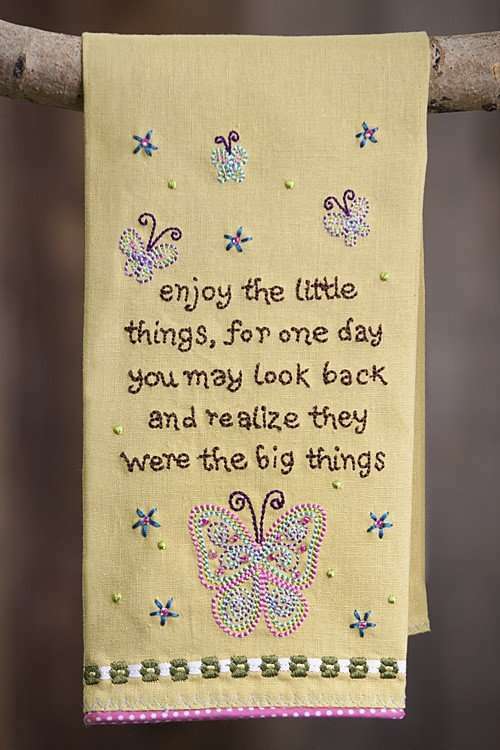 I love that quote “enjoy the little things for one day you may realise they are the big things.Thats why they say “God lies in the details”. That is also the reason why the story of your past is important.The story of your past should be a saga of happiness,accomplishments,sweet moments,loving moments,self love,peace, poise,nobility,strength and a lot of good will given to others.The story of your past certainly does need to exclude the unnecessary bitterness,the sour tastes,the crudities,the guilt,the regrets,the fears,the mistakes made by others,and yourself.The story of your past can become worthwhile to you when you place some learning value on it,some thing to smile about and feel happy about. “Sometimes you will never know the true value of a moment until it becomes a memory”. Mona, I absolutely agree about the past being with us. In fact, I am convinced I’ve developed many values from negative experiences as much as positive ones. After all, we also learn what not to do as we learn what is good. Reminds me of the Dr.Seuss quote – smile because it happened. 🙂 Thank you, Mona. I always value your input! Love how kids can put a smile on your face ..no matter what! We certainly should learn from these little joyous beings…lovely post! Yes, Aditi. I try. And succeed sometimes, by pretending not to be an adult. 🙂 It is a solid stress-reliever! 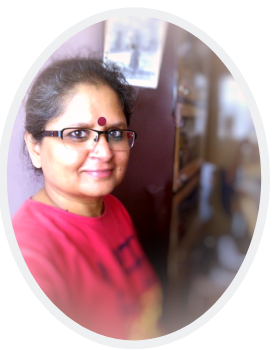 Hi Vidya, enjoyed the story about the two kids because they are a reminder of who we are in our essence before society and ego gets a hold of us:) We are filled with care-free love, confidence,friendship and seizing the day. Love the photos as always. The photos are a re minder to me to look around everyday and just observe the many nice things around me which I tend to take for granted. Vishnu recently posted…How to Confront Hate.